The Saudi film industry took another step forward last week with the public screening of a locally produced movie, suggesting the government could be moving towards lifting a three-decade old ban on cinemas. The premiere of Mnahi , which was produced by Saudi-owned Rotana studios, marks the second public screening of a Saudi film in a little more than a year, after Sabah al Lail was opened to the public on a commercial release in October 2007 during the Eid al Fitir holiday. Rotana Studios is owned by Prince Waleed bin Talal, a Saudi billionaire, and it is believed his connections with the royal family played a major role in the movie's public showing. I am correcting a big mistake, that is all, Prince al Waleed had told the New York Times in a 2006 interview prior to the launch of Rotana Studios' first movie, Keif al Hal : I want to tell Arab youth you deserve to be entertained, you have the right to watch movies, you have the right to listen to music. There is nothing in Islam – and I've researched this thoroughly – not one iota that says you can't have movies. So what I am doing right now is causing change. Movie theatres existed in Saudi in the 1960s and 1970s, but they were banned in the early 1980s after conservatives consolidated their support. Ayman Halawani, General Manager of Rotana Studios, said in a press statement that Saudi cinema will not only produce but it will market its movies in its home country and among its viewers, and here lay the significance of this event. A locally-produced comedy, Menahi , premiered in two cultural centres in Jeddah and Taif this month before mixed-gender audiences, a taboo in Saudi Arabia whose strict Islamic rules ban unrelated men and women from mixing. Turnout for the movie, produced by billionaire Prince Alwaleed bin Talal's media company Rotana, was so big the film had to be played eight times a day over a 10-day period. While the kingdom's Grand Mufti Sheikh Abdul Aziz al-Shaikh has not commented on the issue, the head of Saudi Arabia's religious police condemned cinemas as a pernicious influence. Our position on this is clear - ban it. That is because cinema is evil and we do not need it. We have enough evil already, said Ibrahim al-Ghaith, the head of the religious police, whose official title is the Commission for Promotion of Virtue and Prevention of Vice. He later toned down his remarks, saying that cinema could be tolerated if it does not violate Islamic law. Hundreds of muslims in Saudi Arabia have signed a petition demanding a stop to what they say is a trend of films being shown in public. There have been no cinemas in Saudi Arabia since the 1970s. And there are unlikely to be any soon. 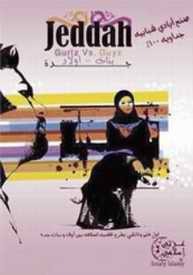 The petition has been motivated in particular by the showing of a home-grown Saudi film in Jeddah last year. It was financed by the Rotana network, which dominates Arab entertainment and is owned by the billionaire Saudi Prince Waleed bin Talal. But even a one off event as the showing of the first Saudi feature film at two venues has aroused the suspicions of Islamic conservatives. They claim cinemas fill people's minds with evil and pollute the purity of their souls. Saudi Arabia's only film festival has been cancelled, dealing a blow to reformist hopes of an easing of clerical control over culture that was raised by the low-key return of cinemas in December. In a country where cinemas were banned for almost three decades, the Jeddah Film Festival has since 2006 presented aspiring Saudi film-makers and actors with a rare opportunity to mingle with more experienced peers from other countries. On the eve of the festival, Mamdouh Salem, one of the festival's organisers, received a call. He said: The governorate of Jeddah notified us of the festival's cancellation after it received instructions from official parties. We were not told why. The film festival was cancelled upon indirect instructions from the interior ministry, said an official at the information and culture ministry. Abdullah al-Alami, a Saudi writer, said there is a trend of attacking cultural festivities. This is a dark day for art and literature in our modern history. King Abdullah has tried cautious reforms in the kingdom, a US ally which has no elected parliament, but diplomats say he is facing resistance from conservatives opposing changes. 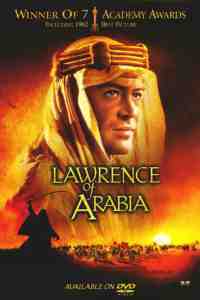 Many Saudi religious conservatives believe films from more liberal Arab countries such as Egypt could violate religious taboos. Some also view cinema and acting as a form of dissembling inconsistent with Islam. Cinemas are set to open in Saudi Arabia in March 2018 for the first time since they were banned in in the early 1980s, according to the Saudi minister of culture. Cinemas existed in Saudi Arabia until they were banned in the early 1980s after a puritanical religious establishment gained control over social and educational affairs in the country. Today, the organized Islamist undercurrents that thrived in the 1980s and the beginning of the 1990s no longer have quite so much influence in the country. A multimillion-dollar DVD bootleg industry flourished as a result of the cinema ban. Saudis amassed large collections of pirated DVDs of the latest Hollywood blockbusters, circumventing both the ban and censorship. It's this revenue that the decision today also aims to recapture. The Saudi cinema industry is still nascent but has been receiving more attention over recent years with breakthrough movies like Wadjdah and Barakah meets Barakah. It's a beautiful day in Saudi Arabia! 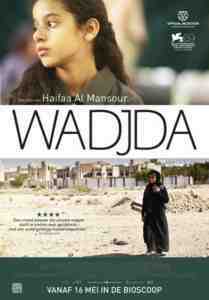 tweeted Haifaa al-Mansour the first female Saudi director of a feature film, the acclaimed Wadjda. The announcement by the ministry of culture did not specify whether seating in cinemas would be gender-segregated as most public spaces are in Saudi Arabia or how heavily censored movies will be. Films are usually greatly censored with pixelation added to cover the chest and legs of actresses. Censorship rules are expected to be announced in the coming weeks. Multiple malls currently being built had already received licenses to build multiplexes before today's announcement.